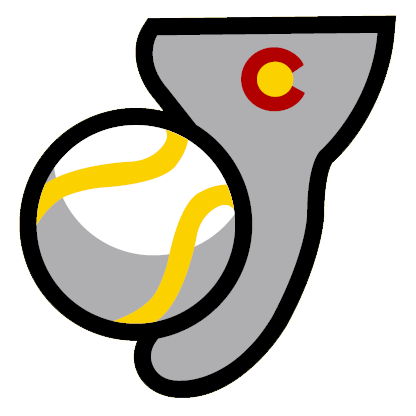 TRINIDAD, Colo. � The most important series in the league to this point is going on in Trinidad, where the northern division No. 1 Triggers are battling with No. 2 Las Vegas. And thanks to a huge fourth inning vs. Train Robber starter Edison Alvarez � who was pulled after 3.2 innings � Trinidad took the opener 16-12. Alvarez, one of the top pitchers in the league, struggled from the start, giving up two runs in the first on a Matt Hunt single, Sam DiMatteo double and Mike Goldy single. The Triggers led 4-0 after two on an RBI single by Jacob Fabry and a Vegas error, with the Robbers finally getting on board in the third when Joey Haskell walked and Randy Wells doubled. Las Vegas cut the lead to one in the fourth on a John Hotta single, fielder�s choice and 2 RBI double by Alvarez, but Alvarez had a really rough bottom of the stanza. With one out, Trigger starter Dylan Porter reached on an error, Hunt walked, Fabry and DiMatteo doubled, Frank Florio singled and Goldy homered, making it 9-3. But even with two outs, Trinidad wasn�t done. Richie Serritella, Jason Venya and Andrew Azzopardi each walked. Serritella came in on a wild pitch and after Porter doubled in Venya, Alvarez was done. JImmy Jensen gave up RBI singles to Hunt and Fabry before getting the final out, but the Triggers led 14-3. 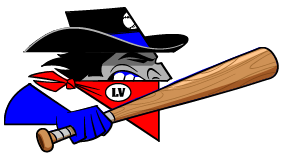 The Las Vegas relievers had a better day than the starter, and the Train Robbers started hitting back. They scored three runs in the fifth when Randy Wells walked; Andrew Lopez doubled him in; Adam Kam tripled; and John Hotta singled. The Robbers added another four in the sixth, scoring off reliever Lee Hall, who gave up singles to Haskell and Matt Grosso; an RBI double to Andrew Lopez; hit Kam; walked Hotta and Lauer, bringing in Grosso and Lopez, then balked in Kam. Quintana came in in the seventh and gave up one run on a Wells single, passed ball and Lopez single, then the Triggers got their first runs since the fourth when Fabry walked, advanced on a passed ball and scored on a Florio single. Flori then stole second, went to third on an error and scored on a put out. Las Vegas got the game�s last run in the eighth when Hotta walked and came home on a Walsh double. All but one Trigger starter, including Porter, got at least one hit, led by Fabry, 3-for-3, two runs, 3 RBI. Wells and Hotta were each 3-for-4 with two runs scored. Trinidad traded its top pitcher, Anthony Smith, to the El Paso Diablos Thursday, but picked up Nick Mutz from the Vallejo Admirals, and he�ll step into Smith�s shoes in the starting rotation. Thursday, Chris Tuttle will start for the Triggers with Atsushi Hebisawa going for Vegas in the second game of the six-game, two-city series.